Discover the most beautiful views of London while enjoying the best of its gastronomy, whatever the weather! Bustronome is a well known concept in Paris and has now arrived in London. 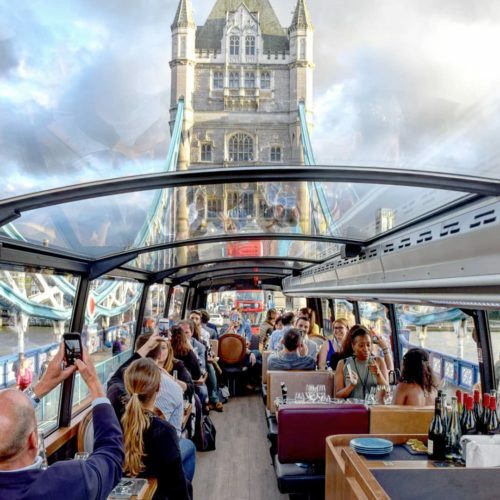 Dine on the top deck of a black and gold double decker bus while enjoying a two hour tour of London. It’ s a great way to get to know London if you’re a tourist, and a new way to experience it if it’s your own home town! The tour starts at the Embankment and takes in many magnificent sights including The Tower of London, St Paul’s Cathedral and the Natural History Museum, all magnificently lit up at night. There are interactive maps that you can touch on with special audio pens to get more information. 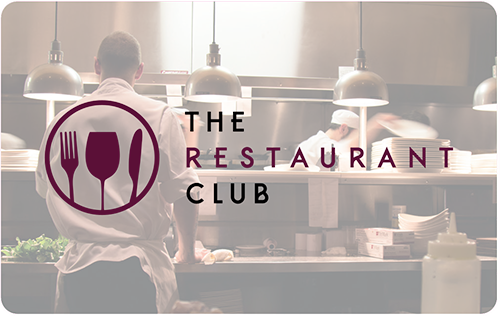 The six-course menu changes every six to eight weeks and much of the cooking is done on board. They have thought of everything, such as magnetic cutlery so it doesn’t move about when going over London’s famous potholes, and glass holders to keep your wine in place. This really is a very special London experience. Bustronome is available for private hire for lunch and afternoon tea.